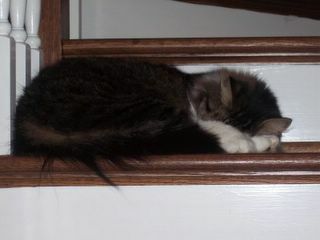 This is how I feel today.....LAZY!!! I don't want to work.....I don't want to do ANYTHING....well...anything but knit that is! My perfect day would be to sleep late, wake to a pot of coffee and some REALLY good pastries (because in my perfect world I would be thin and could afford the calories), stroll through my perfectly clean and neat house (oh yeah...I'm dreaming)....while gathering up my knitting and head for the porch (which is pollen and cat hair free)......knit for a few hours.......blog for a few hours to catch up on what all the good knitters are doing and dream about what I can do some day!! But.....Reality Bites!!! Back to Work!! LOL!!! I am having to put the knitting aside for a few days...."tennis elbow".....I am referring to it as "knitters elbow"! 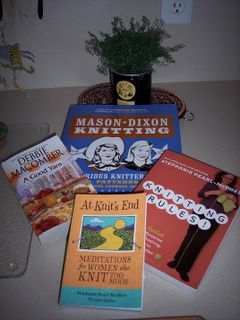 I have a few books I have not had time to read so I guess I'll be reading about knitting rather than actually knitting for the next few days! Maybe by the time my elbow is better I'll be ready to tackle my sock mate! I'm not starting another pair (even though my sock yarn stash is WAY prettier than the Wildefoote sock yarn).....until I have finished the first pair....considering the sorry state of my first sock I'm hopefull my second pair will be made well enough to actually WEAR!! LOL!! YES....that IS the Halleluiah Chorus you hear!!! I will no longer refer to this as the @*#* sock but will now be called THE SOCK! Fortunately you can't see all the picks, dropped stitches, etc. 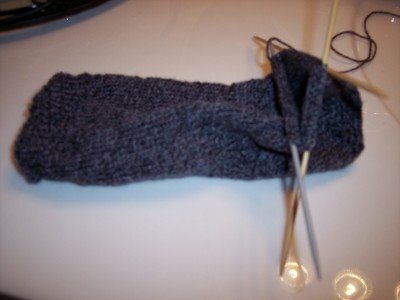 I am ditching making the mate as this sock really isn't wearable because of dropped stitches and I just can't rip it out and re-knit at this point. I'll have to put it on my desk and look at it for awhile. BUT......I have completed it and I now have a grasp of the pattern concept!! I'm picking up the Modea Self Stripe yarn I originally started on and hopefully will now be able to complete a PAIR of socks!! I've got to get good enough to knit up the box of sock yarn I bought!! Not sure if I am going to fall in love with making socks as so many are.....the judge is still out on this one! Hopefully by the time I have knit up my sock stash I'll be crazy for socks....or may just be crazy!!! LOL!!! 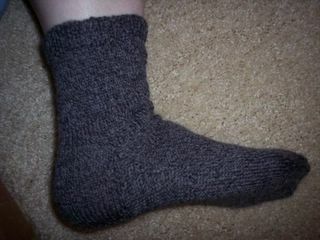 I hope I get good enough that I'll be addicted to socks as it is a great project to take with you and knit on the go. Upon finishing THE SOCK and excitedly modeling for my DH he gently takes my sock clad foot in his hand and inspects from all angles, declares himself proud of me for being able to complete THE SOCK, sweetly smiles asking will I be able to DUPLICATE THE SOCK so I'll have a MATCHED PAIR....while gently touching all the spots my bare foot is showing from the dropped stitches!!!! DId I mention that DH doesn't ALWAYS stand for Darling Husband? Sometimes it stands for @*&$@ Husband!! LOL!!! 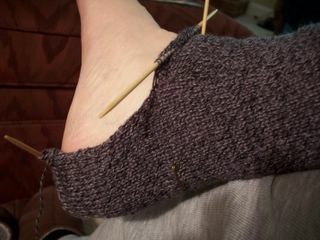 No knitting to share today....still working on my sock....hopefully will have it finished in another couple of days! It's not going as well as I had hoped....but it's a learning process. Silly me....I had envisioned sitting down and whipping out a pair of beautiful socks in a matter of a few evenings....I guess I'm a slow learner! Since I have no knitting pics to share...(well....I have knit two baby blankets....I'll try to make a pic of them and share later)......in the mean time here is a pic of my sometime shy, sometime crazy kitty Gracie. Don't let this picture fool you.....she is INSANE!!! Well......it's not great....but it IS progressing!!! The yarn has separated in several places and on close inspection looks "picked".....but at this point I'm just trying to finish it so I will know what I'm doing when I start my first PAIR!! I have ripped and re-knit this yarn so much it is really in bad shape.....I'll make it's mate for practice but don 't believe I'll buy the Wildefoote yarn again. I think I'll stick with a more tightly woven yarn for my next pair or two......the knitted part feels really nice to the touch....it's just so hard for me to work with a this point. Need a bit more experience.....then may give it another shot. 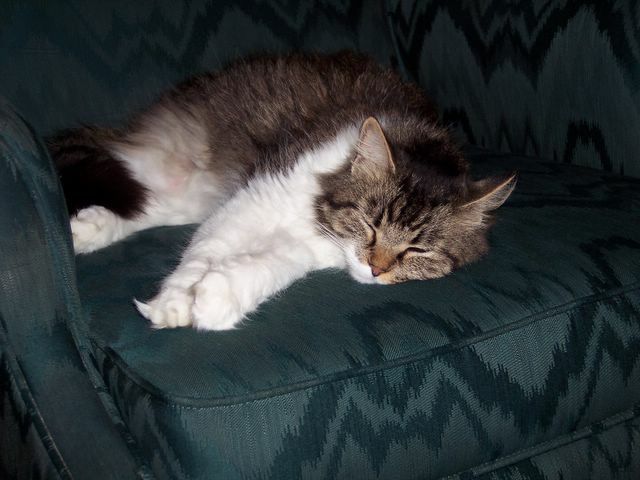 I hope to be able to be down to the toe by the end of the week. (Oh to be like those of you that can whip out a pair in an evening or two!). 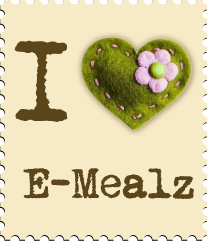 Why oh Why must I be forced to decide whether to spend my few free minutes each day visiting and catching up with my favorite blogsites or knitting? Life is tough enough as it is!!! Can someone PLEASE make blogs SPEAK?? That way we can knit while "listening" to our favorite blogsites!! "One Ring-y Ding-y, Two Ring-y Ding-y"
O.K. So I'm back to the Wildfoote sock yarn....note the BAMBOO needles...NOT the slick aluminum ones that I could NOT hold on to!! I have somehow managed...not sure how.....(I guess the 329th time is the charm)......managed to TURN A HEEL!!! YIPPEEEEEE!!!!! Oh Happy, Happy, Joy, Joy!!! NO bumps, NO lumps....just a SMOOOOTH heel cup!!!! Could there be hope for my sock yarn stash? ?